Few could have imagined the impact UTD would have on Hip-Hop back on the early 90's. Comprised of three siblings, Urban Thermal Dynamics became just another group that got lost in the shuffle. Fast forward to the present and you'll find that the group spawned one of the game's top emcees in Mos Def and one of the game's most anticipated groups in Medina Green. Medina Green first created a buzz with a single on Rawkus Records, but it wasn't until last year's "U Know The Flex, Vol. 1" that fans really got to hear what the group was all about. Comprised of members DCQ, Kash-Ru, Jah Born, and Lord Ato, Medina Green had head's everywhere tuning in to tracks like "Crosstown Beef" and "Cats Copy." Building on the fan base they gained with "U Know The Flex," the group is set to release the follow up "Funky Fresh in the Flesh, Vol. 2" on August 23rd and to perform at the upcoming first annual Brooklyn Hip-Hop Festival. Recently we had the chance to talk to Medina Green's DCQ about UTD's legacy, what it's like having Mos Def as an older brother, and most importantly, what Medina Green is all about. Pedro Hernandez (PH): What's up man? DCQ: I'm good, what's up with you? PH: I'm good too man, thanks for taking the time out to do this interview. DCQ: Mos def, no problem. Who are we doing this interview with today? PH: Oh, (laughter) my bad, Pedro from RapReviews.com. PH: Yeah! 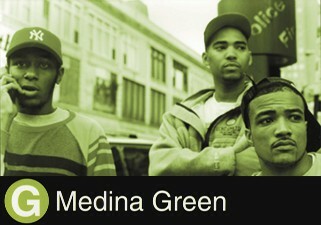 Man, I guess we'll get right into this, for those who don't know, who makes up Medina Green? DCQ: Myself, DCQ, Magnetic – Kash-Ru is one person, Kash-Ru is spelled K-A-S-H slash R-U. Jah Born, and Lord Ato too. PH: I know the group has a long history, how did it come about? 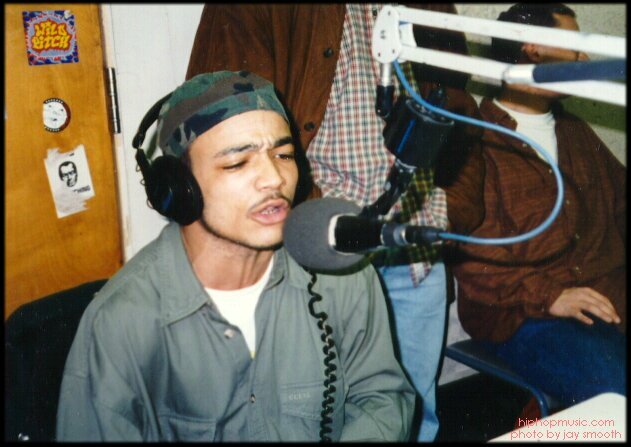 DCQ: Basically, we started out, before Medina Green, myself, Mos Def, and my sister Ces we were in a group. The name of that group was UTD, which stands for Urban Thermal Dynamics. And, you know, Mos, after we recorded the UTD album, he did his thing and then he opened it up for us to form Medina Green. It gave myself, you know, Magnetic, Lord Ato, and Jah the chance to do our thing through Median Green. PH: What's Mos Def's involvement with the group now? "[Mos Def is] my older brother. We created the UTD situation for everyone to get out there and do what they do." DCQ: He's my older brother. We created the UTD situation for everyone to get out there and do what they do. You know, before Medina Green, we were in a group called UTD, I got my exposure through that. Now moving in the direction we were moving, we decided to take a step back and we created Medina Green so we could do our thing. Mos Def stays involved, but you know for the most part we believe that we can, and Mos also believes, that we can get our hand in there and do our thing and Mos doesn't have to hold our hand and guide us through the process. Basically we have the ability to you know, get our hand in there and do our thing. And basically what's good for Mos is good for the Green. It's like a family tree and within that family tree you got Mos Def as a solo artist, and you also have Medina Green, myself, Magnetic, Jah Born, Lord Ato, of course. I also got young artist by the name of Ali Shine that I'm developing right now on the imprint, the name of the label is Illson Media and the distribution is Studio Distributions. That's what's good. Like you know we took a step back to take others forward. We regrouped a little bit, came back with Medina Green and it's a better situation for everybody to get their feet wet and start doing their own thing. PH: "U Know The Flex" got a great reception, are y'all planning to follow that up directly with album or put out more mixtapes? DCQ: There's a follow up to "U Know the Flex," the follow up is going to be "Funky Fresh in the Flesh, Mixtape Vol. 2" and it's going to be released August 23rd. Also it's going to be an enhanced CD where you can pop it in your DVD player and view the "Cats Copy" music video. PH: So is the album already set, since that's a mixtape right? DCQ: Ummm, that's an album (Funky Fresh in the Flesh) but we're hyping it a mix CD for now. I mean it's going to include all the group's tracks and some solos, you know, but we're just putting it out as a mix CD. It's like a ladder for us to eventually release a full length album, you know, but it's going to have all original material and the best of what we got. PH: I know you said you're working on solo work too, is there a set date for that? Are any of the other members working on solo projects or anything like that? DCQ: Right now, most of my solo material is going to be released on other projects, you know. I had a couple of solo joints on Volume 1 (U Know The Flex) and I'll have a solo joint or two on Volume 2. And then when the full length album comes around you'll probably get a solo touch from me here and there, but for the most part Medina Green is a group. PH: You're set to perform at the Brooklyn Hip-Hop Festival, how does it feel to be involved with that? "Medina is the Asiatic name for Brooklyn. So you know, it's right at home, family first." DCQ: It feels great. You know, Brooklyn is where we were born and raised. It's only right that we're involved in the first annual Brooklyn Hip-Hop Festival. Medina is the Asiatic name for Brooklyn. So you know, it's right at home, family first. PH: The legendary group Brand Nubian is also involved, did they or any other group or act have a big influence on Medina Green? DCQ: Oh, of course man. Of course growing up, Brand Nubian, EPMD, KRS-One, Slick Rick, N.W.A., groups like that, Run-DMC. I mean of course man, you know that. PH: On an individual level what emcees influence you and your own style? DCQ: Run, from Run-D.M.C. Eric B., well Rakim, from the legendary Eric B. and Rakim. EPMD, I already mentioned Slick Rick, KRS-One, you know. Listening to all them just helped us get better and better, you know. PH: Do you have a favorite hip-hop memory, like hearing a song for the first time, something like that? DCQ: Hmmmm, like I remember hearing EPMD's "The Crossover" for the first time. KRS-One's "Black Cop" – I remember hearing that for the first time. "The Message" – (rapping) "Don't Push Me Cause I'm Close to the Edge..." – you know stuff like that. PH: On the same tip, do you have a favorite hip-hop album,, that one album you keep playing over and over? "Common Sense's first album was crazy, 'Can I Borrow a Dollar?' That's probably one of my favorites..."
DCQ: Common Sense's first album was crazy, "Can I Borrow a Dollar?." That's probably one of my favorites, you know. PH: What about non-hip-hop? Because you can tell from listening to your work and Mos Def's work that y'all take elements from different types of music. DCQ: Hmmmm, favorite or first non-hip-hop album, hmmm. Not off the top of my head, there's nothing I can really think of. PH: I know you mentioned you're developing a couple artists and that Medina Green and Mos Def are like one big family tree, are you going for something like the Native Tongues, with a big network of rappers? "Medina Green does its thing, Mos does his thing, and I mean we work with who we can." DCQ: Nah, I mean you Medina Green does its thing, Mos does his thing, and I mean we work with who we can. But for the most part its just Medina Green and Mos, and we just trying to do what's good for us and do our thing. PH: I asked you about your influences, but what do you listen to right now? DCQ: I listen to it all man, you know. You gotta be on your job, especially nowadays with everything that comes out. But I listen to everything, I wouldn't say everything cause it's hard to keep up with all that's going on. I like what Jadakiss is doing. I like what Swizz Beats is doing with Cassidy. I really like what 50 Cent did with G-Unit, you know. To put together a group and be successful as a group and also be successful as individual solo artists outside of the group. I think the game is just elevating and elevating everyday. DCQ: Oh I meant like Hip-Hop is elevating and elevating everyday and with every opportunity that it has. I really wouldn't even consider Game really G-Unit. I think that was just a smart business move by the powers that be over there. But I do like 50 and what he's doing over there with G-Unit, you know. Just to bring together a group of emcees and be successful and also be successful as solo artists. And also creating a brand, you know, with the clothes and things like that. PH: Is that what you want Medina Green to become? You know, not just a group but also a brand in hip-hop with side ventures like clothes and things like that? "We're a brand already, you don't always get to see everything but you know we're developing." DCQ: Most definitely, but you know we're a brand already. We're a brand already, you don't always get to see everything but you know we're developing. We're trying to get out there open things up for everyone and everything. PH: To wrap things up, anything you want to say to your fans? DCQ: The follow-up to "U Know The Flex Vol. 1" will be available in stores August 23rd at all major retailers. It's also an enhanced CD featuring the "Cats Copy" video which is on "U Know the Flex Vol. 1." And also in the early fall you're bout to definitely hear some things from Ali Shine. Ali Shine is a dope emcee out of Brooklyn, NY – Fort Green, Plant Hill area that's developing right now on the Illson Media label and the distributor is Studio Distributions. The UTD project is also available right now in stores and it's a classic right there. That's, you know, myself, DCQ, my sister Ces, and Mos Def. Back in the early 90's we were all in a group coming up. And that basically just allowed us all to do our thing and move on. You know, after the UTD album Mos Def went on to do his solo work and be successful, but you know he's still involved right with Median Green. But you know, he believes and we also believe, that we can get out there and make some noise for ourselves without him having to hold our hand. PH: Well, thanks for taking the time out your day to do this interview. DCQ: Anytime man, you know the flex! View or download Medina Green's new "Cats Copy" video here. See Medina Green at the Brooklyn Hip-Hop Festival on June 18th.